A building vacated upon the completion of BWBR-designed Beck Academic Hall, Arthur H. Anderson Hall had served many uses since its creation in 1947. Seeking to revitalize the facility that had originally served as a library, Gustavus Adolphus College partnered with BWBR to transform the building into the new home for the Education Department’s K-12 teaching program, as well as new classrooms, multi-purpose student spaces, the Academic Success Center, and a multifaith worship space. 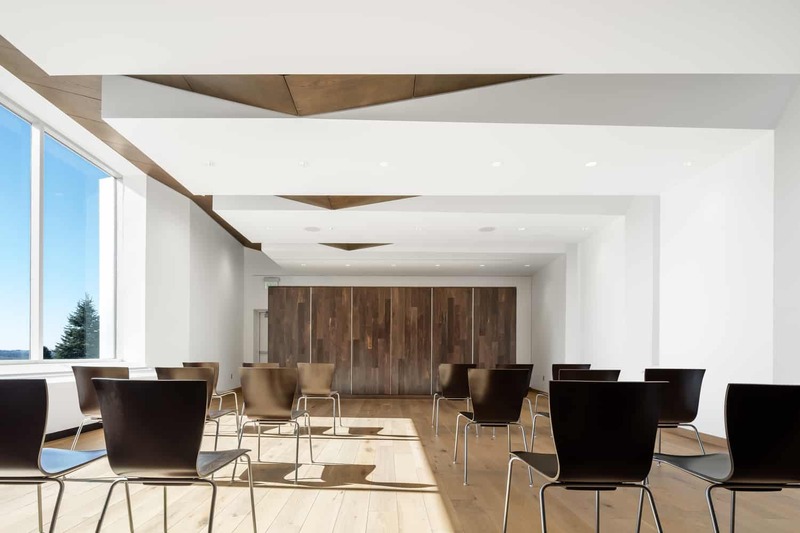 A study in restoration and adaptive reuse, the renovation demolished Anderson Hall’s interior while carefully maintaining the stone exterior — an effort that modernizes the interior community and respects the surrounding campus aesthetic. 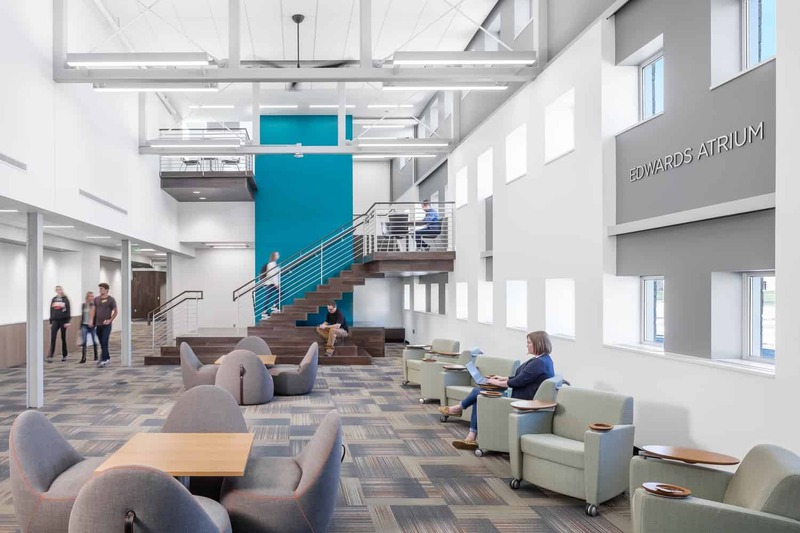 Inside, existing library stacks were removed in order to create an airy multi-story, multi-purpose atrium. 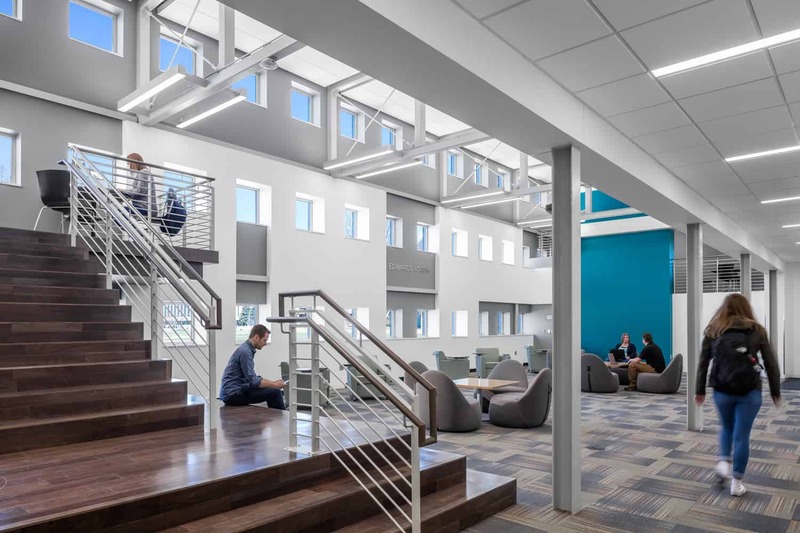 The new atrium promotes collaboration by nesting five breakout study niches within the landings on the open staircases. 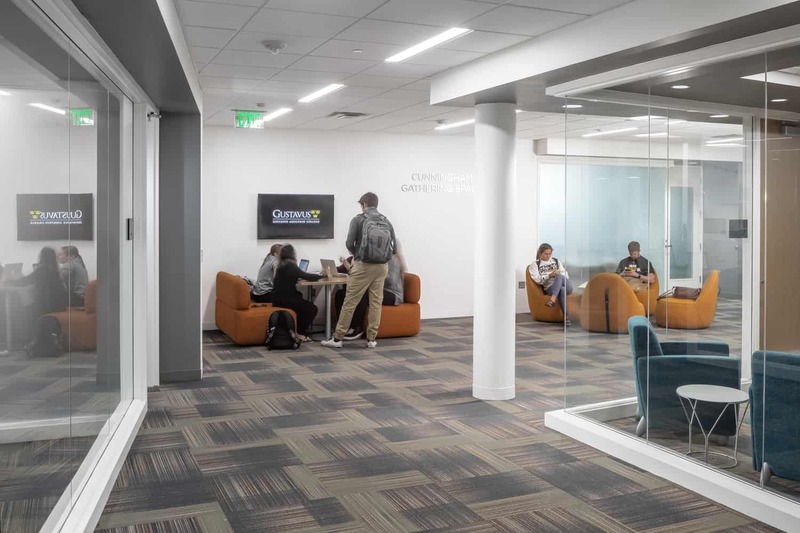 Each niche is designed to offer a peaceful, smaller working area while simultaneously connecting students to the larger learning environment. 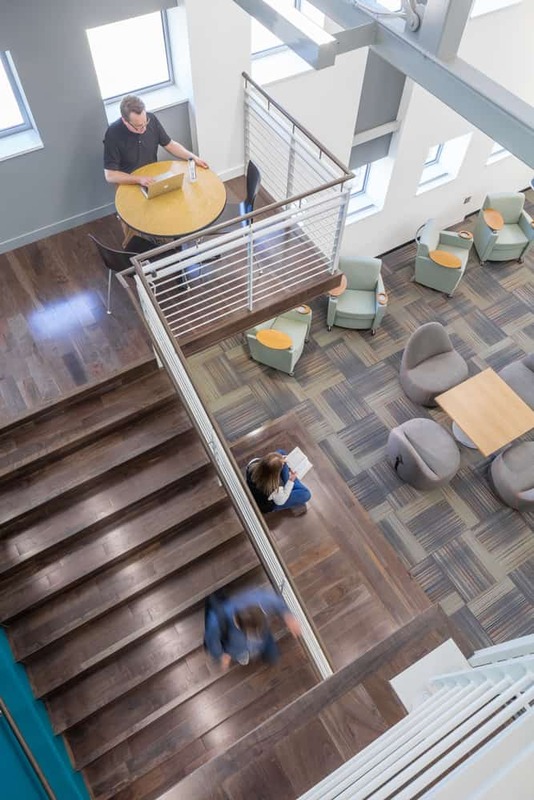 To serve the diverse needs of its students, Anderson Hall also features accessible and flexible amenities. 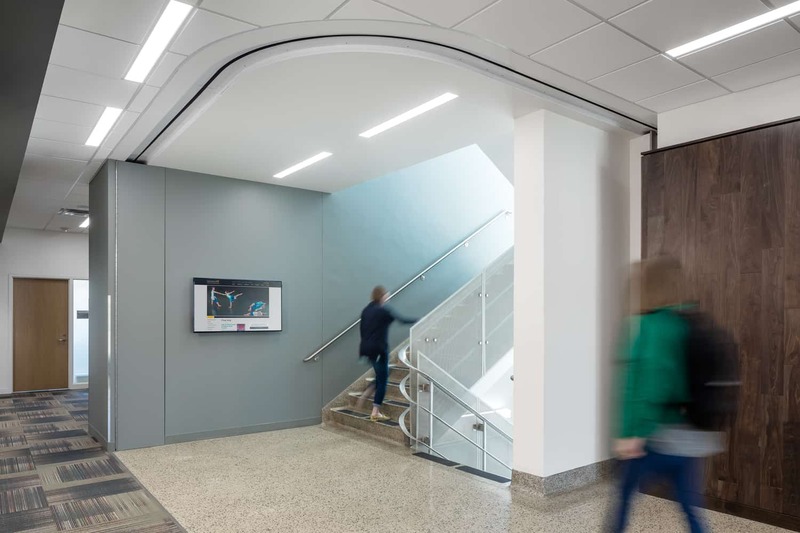 An added elevator and restored terrazzo staircase bring the facility up to code and assist in accessing the Academic Success Center. 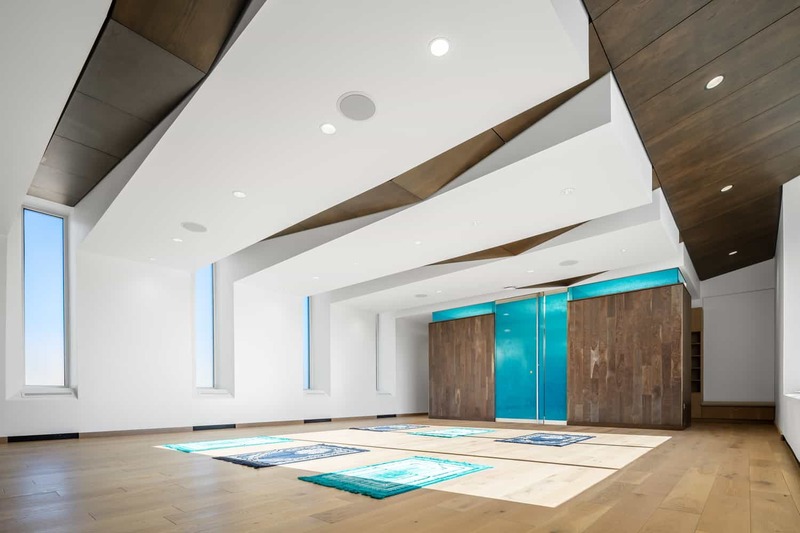 A daylit multifaith worship space features translucent glass that diffuses incoming light to provide both privacy and fantastic views of the Minnesota River valley. 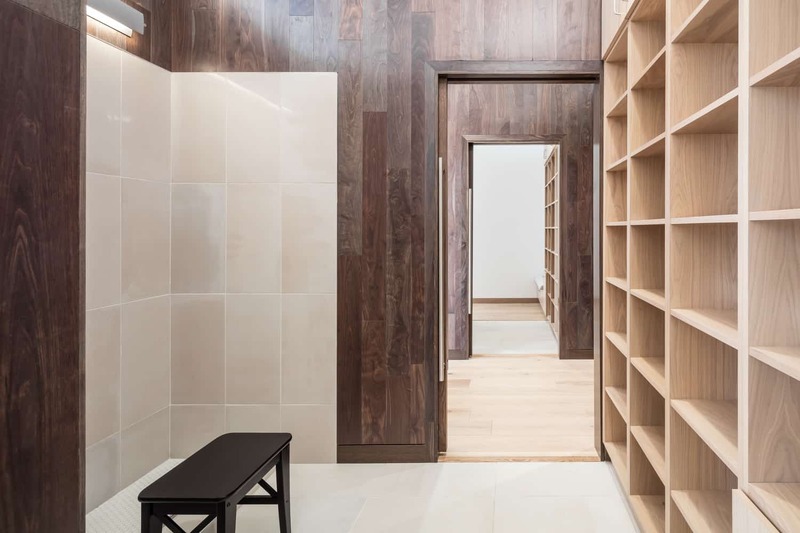 Washrooms and movable panels serve a flexible, spiritual experience for a wide range of users. 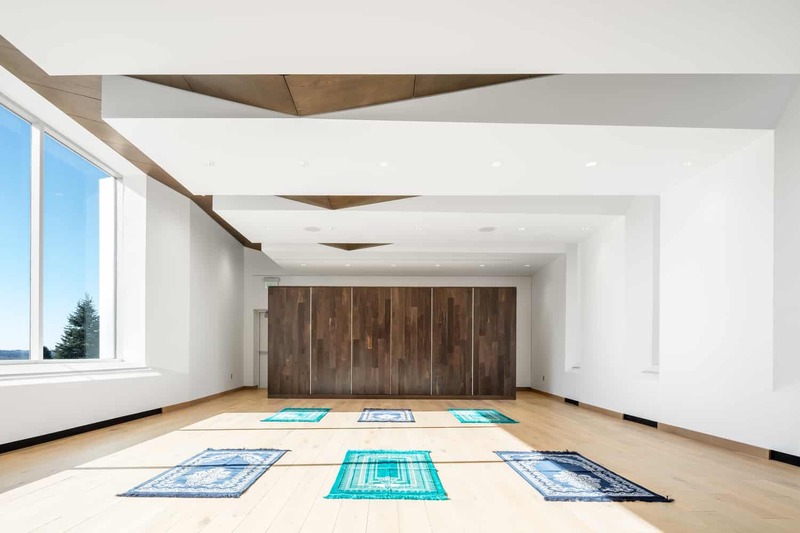 The worship space also accommodates various seating options and layouts, without conveying an aesthetic specific to any religion.